The Predynastic and Early Dynastic cemetery of el-Amra contained over a 1,000 burials. The site’s distinct material culture led to material being described as Amratian (=Naqada I). Material remains like stone vessels indicate trade with the north of Egypt and either Sinai or Nubia on account of copper, obsidian and gold. Catalogue of antiquities of the earliest dynasties: found by Prof. Flinders Petrie at Abydos, Mr Randall-MacIver at El Amrah (Egypt Exploration Fund) and Mr J. Garstang at Beit Khallaf (Egyptian Research Account), 1901 ; exhibited at University College, Gower Street, London, July 1st to 27th. [London], . Griffith, Francis Llewellyn 1901. Excavations at Abydos : the prehistoric cemeteries at El Amrah, Archaeological Reports 1900-1901, 1-3. Hill, Jane A. and Tomasz Herbich 2011. Life in the cemetery: late predynastic settlement at el-Amra. In Friedman, Renée F. and Peter N. Fiske (eds), Egypt at its origins 3: proceedings of the Third International Conference "Origin of the state: predynastic and early dynastic Egypt", London, 27th July - 1st August 2008, 109-135. Leuven: Peeters. Randall-MacIver, David 1901. A prehistoric cemetery at El Amrah in Egypt: preliminary report of excavations. Man 1, 49-54. Randall-MacIver, David 1902. 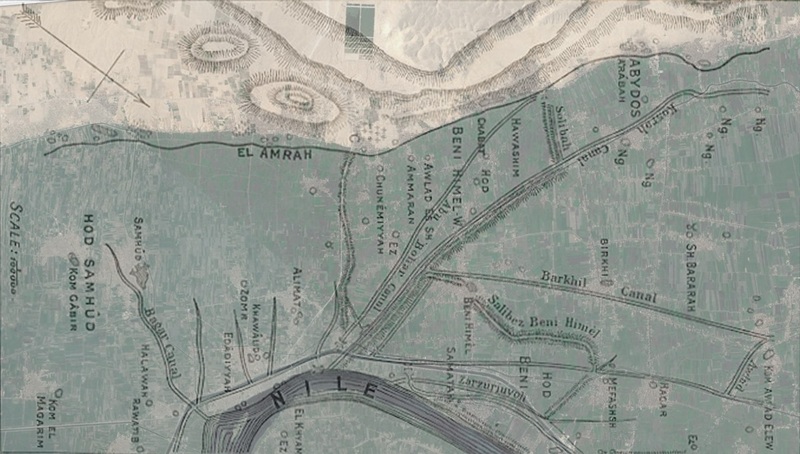 El Amrah and Abydos, 1899-1901. London : Egypt Exploration Fund.